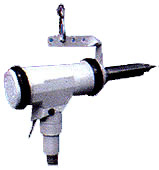 We are offering Auto Stub Puller 1/2"- 2" O.D. • Designed for fast removal of ferrous and non-ferrous tubes from Condensers, Heat Exchangers, and Boilers. 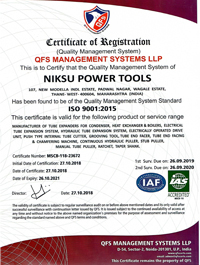 • Gripping and pulling done in single operation. • Compact and lightweight pulling gun, easy to operate inside boiler drum with 24 Volt DC control. 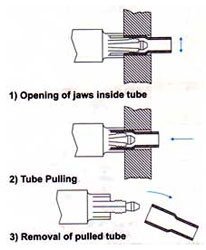 • Auto ejection of tube after removal. • Remove tubes without any damage to tube sheet. • Pneumatic version available for harzardous and explosive areas. • Low setup time and ease of operation. • Auto Switchover from low-pressure high flow to high-pressure low flow on load and back again when load is released. • Interchangeable pulling gun with same power pack. • Significant savings of time & money over conventional methods of stub removal. • Can pull from 13 mm to 51 mm I.D. Tubes.